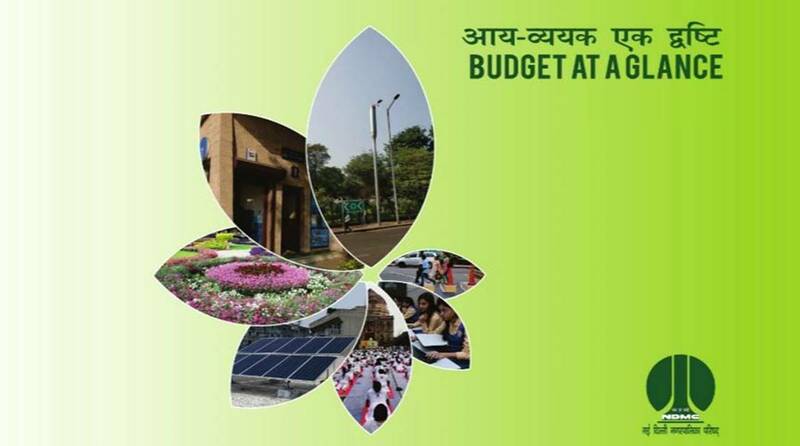 The total receipt of the NDMC budget estimates (BE) for 2019-20 are Rs 4,172.34 crores against Rs 3,954.51 crores provide in the revised estimates (RE). Smart City initiatives with electronic and mobile governance will continue to be the focus of the New Delhi Municipal Council’s annual budget for the coming financial year. As per the NDMC budget 2019-20 announced on Tuesday, the total receipt of the NDMC budget estimates (BE) for 2019-20 are Rs 4,172.34 crores against Rs 3,954.51 crores provide in the revised estimates (RE). “The NDMC would continue to extend civic services and community facilities to the residents in an equitable, non-discretionary and transparent manner by smart electronics and mobile governance,” NDMC chairman Naresh Kumar said in his budget speech. “It includes adoption of Block Chain Technology for birth and death certificate application, Multi Protocol Label Switching (MPLS) to connect field offices of NDMC, networking in Palika Kendra, implementation of Single Sign On (SSO) for all citizen services and an online bill tracking system among others.” he added. Kumar said online applications for electricity and water connections and online payment facilities and electronic human resource management system will also be undertaken during the year 2019-20. The council has proposed to install 100 underground bins at various locations in New Delhi area during the year 2019-20 besides five static compactors at locations, where the generation of garbage is more than 3 MT/per day. “Taking care of the plastic waste generated in the NDMC area, it has been proposed to install a plastic waste management plant in the vicinity of compost plant at Okhla. “Fibre-based digital connectivity in all schools to NDMC Command and Control Centre through optical fibre, setting-up of digital libraries in the remaining 14 secondary and senior secondary schools, NDMC teachers resource centre, solar benches in all NDMC schools are among initiatives that the civic body has proposed for 2019-20. “Opening of digital libraries after school hours in secondary and senior secondary schools set-up with computer peripherals and Wi-Fi network for online books will be opened after the school hours to benefit our students,” Kumar said. The NDMC has also proposed to install an emergency button in all its schools along with CCTV cameras in open areas in 2019-20. The council also has proposed to provide medical and surgical treatment facility at Charak Palika Hospital and Palika Maternity Hospital under Ayushman Bharat. The NDMC has also proposed to install automated health screening with integrated devices with checkup option of over 40 health parameters by Health ATMs at Charak Palika Hospital, Dharam Marg Polyclinic, Palika Maternity Hospital and TB Polyclinic in the year 2019-20. “Considering the problem of increasing air pollution, especially in high vehicular movement areas, it is proposed to procure four Mist Spraying Cannon Machines for NDMC area,” he said.